Read the entire article and watch BUZZWORTHY RADIO's video interview HERE. 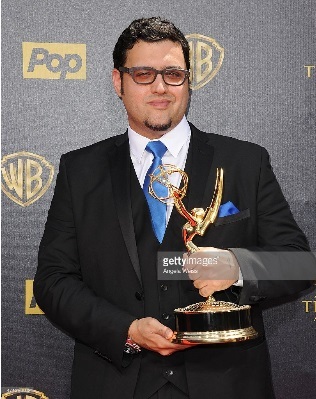 View all of GREG DOHERTY'S photos of "THE BAY Wins an Emmy" HERE. The 42nd Annual Daytime Emmy Awards were distributed Sunday, honoring excellence in daytime television programming. This year’s event, hosted by “America’s Next Top Model” host and co-creator Tyra Banks, featured a mix of standout presenters and daytime veterans. The awards were held at Warner Bros. Studios in Burbank, California, and aired on Pop. 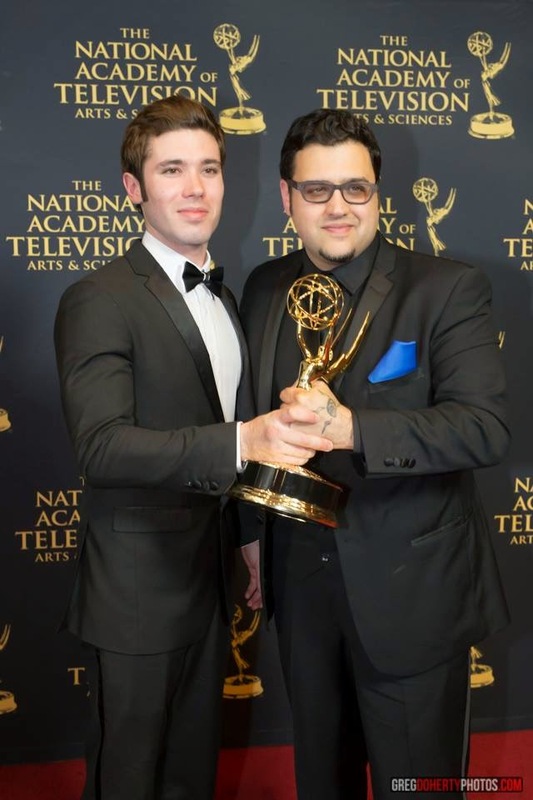 Los Angeles, CA – April 24, 2015 – The National Academy of Television Arts & Sciences (NATAS) today announced the winners of the 42nd Annual Daytime Creative Arts Emmy® Awards. The television stars Florence Henderson, “The Brady Bunch,” and Alex Trebek, “Jeopardy!” hosted the sold-out, grand gala for over 1,200 attendees at the Universal Hilton, on Los Angeles, CA. Read the entire press release from NATAS HERE. CBS and its The Bold And The Beautiful dominated the Daytime Emmys Creative Awards handed out Friday evening at the Universal Hilton. CBS and PBS tied with 17 apiece for network honors and the Eye Network’s soap took home 8 awards. Florence Henderson and Alex Trebek hosted the sold-out event with more than 1200 guests attending. View additional arrival photos by GETTY IMAGES HERE. SOAPDOM.COM: EMMY 2015 ~ 42nd Annual Daytime Emmy Creative Arts Award winners. Congratulations! The National Academy of Television Arts & Sciences (NATAS) announced the winners of the 42nd Annual Daytime Creative Arts Emmy® Awards at a stunning awards event last night. The television stars Florence Henderson, "The Brady Bunch," and Alex Trebek, "Jeopardy!" hosted the sold-out, grand gala for over 1,200 attendees at the Universal Hilton, on Los Angeles, CA. Last night in Hollywood the Daytime Creative Arts Emmy® Awards was hosted by “Jeopardy!” game show host, Alex Trebek and stage and television star of “Oklahoma” and “The Brady Bunch,” Florence Henderson, at the Universal Hilton Hotel, in Hollywood. The Red Carpet Report team were on hand for the red carpet arrivals and interviewed host, Florence Henderson from “The Brady Bunch”, Paul Pillitteri, SVP Communications & Bob Mauro, President, NATAS, Jen Lilley from NBC’s “Days of Our Lives”, Brandon McMillan from CBS’s “Lucky Dog”, Kristos Andrews & Gregori J. Martin, winners from http://TheBayTheSeries.com, Lawrence Saint-Victor from CBS’s “The Bold and The Beautiful”, Lilly Melgar – ABC’s “General Hospital”, Judge Lynn Toler from “Divorce Court”, Kylie Erica Mar from “Made in Hollywood: Teen Edition”, Ray Wise from CBS’s “The Young and the Restless”, Sean Carrigan from CBS’s “The Young and the Restless” , and Soleil Moon Frye, entrepreneur and star of #HomeMadeSimple (and winner). Read the entire RED CARPET REPORT article HERE. 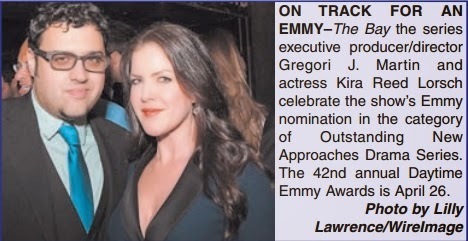 Mingle Media TV and our Red Carpet Report team were on hand at the 2015 Daytime Creative Arts Emmy® Awards was hosted by "Jeopardy!" game show host, Alex Trebek and stage and television star of "Oklahoma" and "The Brady Bunch," Florence Henderson, at the Universal Hilton Hotel, in Hollywood. CBS and its soap “The Bold and the Beautiful” led the pack of winners at the 42nd annual Daytime Creative Arts Emmy Awards. CBS and PBS scored 17 trophies apiece. “Bold and the Beautiful” led the program winners with a total of eight. Winners at Friday’s ceremony, hosted by Alex Trebek and Florence Henderson at the Universal Hilton, included a three-way tie for guest star in a drama series among Donna Mills (for ABC’s”General Hospital”), Fred Willard (“The Bold and the Beautiful”) and Ray Wise (CBS’ “The Young and the Restless”). Read the complete list of winners, including THE BAY The Series, HERE. 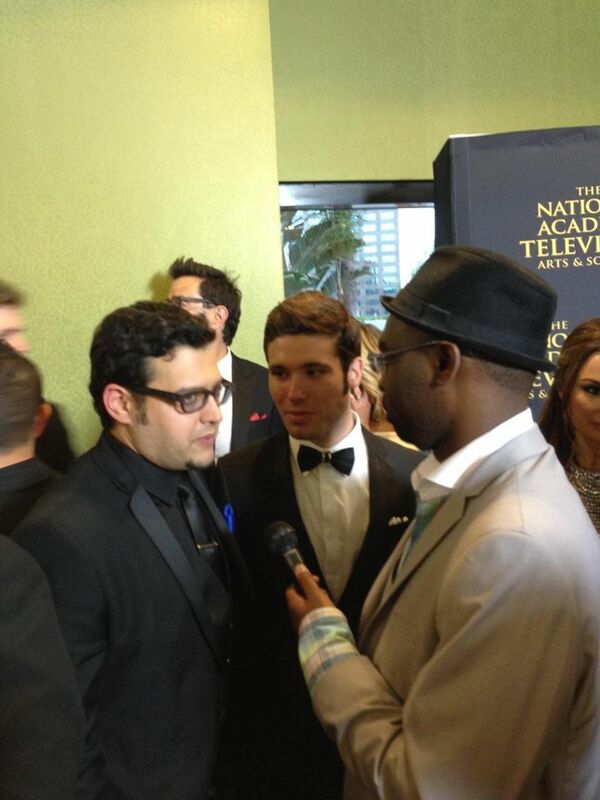 The Daytime Emmy Creative Arts ceremony took place this Friday at the Universal Hilton Hotel. The event was hosted by Florence Henderson and Alex Trebek. This ceremony honors those who work behind the scenes of some of your favorite television shows. Read the entire list of winner, including THE BAY The Series in Category 2, HERE. 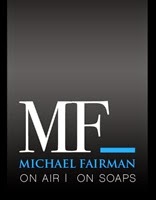 MICHAEL FAIRMAN: 42nd Annual Daytime Creative Arts Emmy Awards Winners Announced! Friday night in ceremonies held at the Universal Hilton in Universal City California, the 42nd Annual Daytime Creative Arts Emmy Awards winners were announced which featured 8 wins in the daytime drama categories for CBS The Bold and the Beautiful, which puts them squarely in the lead heading into Sunday’s 42nd Annual Daytime Emmy telecast. Gotta hand it to Karrueche Tran ... girl dreams big -- on the heels of getting a tiny taste of Hollywood's award season she's already eyeing an Oscar-winning career. Karrueche was leaving a party for "The Bay" -- the online soap opera she's on, which just got a Daytime Emmy nomination -- and we asked where she saw her career going. KT replied, "I wanna be like Halle Berry." Read the entire TMZ article and see the video HERE. 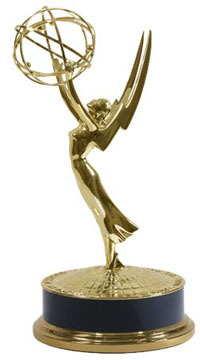 THE BAY, from LANY Entertainment, received their second Daytime Emmy® nomination in the extremely competitive Category 2: Outstanding Drama Series New Approaches. 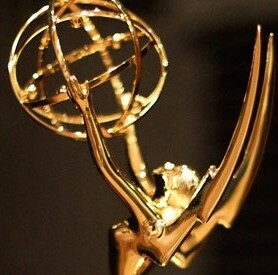 The 42nd Annual Daytime Emmy Awards will be shown on POP Network Live Sunday. THE BAY, previously nominated in 2012, was created, written and directed by Gregori J. Martin. THE BAY stars an iconic roster of daytime and primetime TV stars. THE BAY stars Kristos Andrews allegedly the youngest producer ever nominated for an Emmy®, serves as Executive Vice President, along with the impressive cast including Mary Beth Evans, the infamous “Kayla Brady” on NBC’s Days of our Lives, Ronn Moss, ex Ridge Forrester of CBS’s The Bold and the Beautiful and member of the popular band “Player”, Karrueche Tran, noted model and celebrity host turned actress, and more. Read the entire SPLASH MAGAZINE article HERE. See all FILM MAGIC photos HERE. 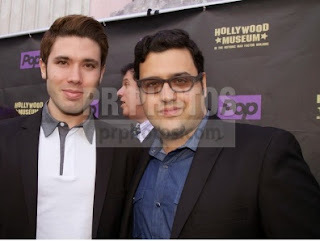 See all PR PHOTOS of "The Bay" Official 2015 Pre-Emmy Celebration HERE. See PR PHOTOS of THE BAY cast members HERE. 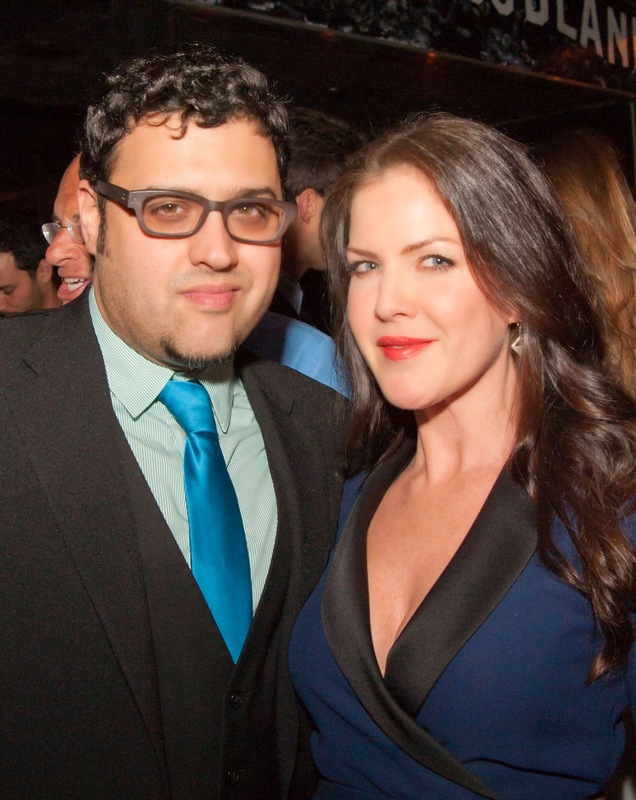 View photos by GREG DOHERTY of THE BAY's Official Pre-Emmy Celebration HERE. 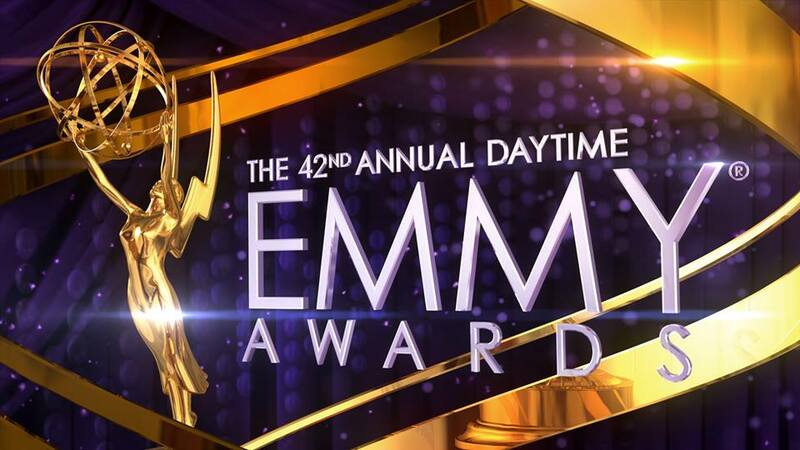 MICHAEL FAIRMAN NEWS - SOAP BUZZ: NATAS Announces Presenters For 42nd Annual Daytime Creative Arts Awards! The National Academy of Television Arts & Sciences announced today the presenters for the 42nd Annual Daytime Creative Arts Emmy Awards. “With two Daytime icons, Alex Trebek and Florence Henderson, as our hosts and Producer/Director Michael Gargiulo as our crafts lifetime achievement honoree, this year’s Creative Arts Emmy Awards will be an event that will inspire pride within the community!,” said David Michaels, Senior Vice President, Daytime. In addition, presenters will include: John Tesh, Philippe Cousteau, Richard Wiese, Jessica Carleton, Leslie Carrara-Rudolph, Martha Byrne, Kristos Andrews, JD Roberto, Camila Banus, Vannessa Vasquez, as well as the evenings hosts, Florence Henderson and Alex Trebek.